1 What Are Bitcoins And Why Should We Be Excited About Them? 4 Are Bitcoins a Good Investment? 5 BitCoin Wallet – What Is It and How Do You Get One? What Are Bitcoins And Why Should We Be Excited About Them? Bitcoins have gone from being a relatively unknown quantity to a huge part of the everyday news cycle, but many people still have no idea what bitcoins even are, much less any idea of their value when it comes to investing. Let’s start with the more basic of the two questions. What exactly are bitcoins? At the simplest level of the question, bit coins are a currency, and like any other currency, their value compared to other currencies is constantly in flux and depends on any number of market conditions. However, bitcoins are unlike any other currency in the market today because they are not issued by any single government, and in fact have no regulatory committee of any sort to monitor the currency. Deemed a peer-to-peer electronic cash system by the man who conceived the them, bitcoins are created and issued through the use of bitcoin “miners”. who generate new coins and process transactions through the use of their own computer’s processing power. These miners serve a dual purpose. Their primary purpose within the system is to validate and authorize transactions that are taking place between bitcoin “wallets”, where each bitcoin user stores the bitcoins and all the addresses they own. Of course, people wouldn’t be using massive amounts of computing power and electricity just to make the transactions of others happen, so there is a massive incentive as well. One of these hundreds or thousands miners will receive a payout of 50 bitcoins for finding the proper string of letters and numbers, but what exactly are they looking for? The computations that these miners perform are mathematically complex and confusing, so we’ll try and make it as simple as possible. Every ten minutes, miners bundle all of the recent transactions in what is called a “block”. This data is added to a set of information that contains every single bitcoin transaction (encrypted of course), and is then added to a random number, called a “nonce”. Then comes the hard part,and the part that will eventually pay out for one lucky miner. To keep all the data secure, this resulting (extremely long) string of numbers and letters needs to be turned into a hash. Using the generated number to create a hash isn’t hard, so another wrinkle is added, the resulting hash has to start with a certain number of zeros, and none of the miners know which nonce (randomly generated number) will give the required result. Once the required result is created, the miner who found the proper nonce receives 50 newly created bitcoins, which both rewards the miner and introduces new bitcoins into the world, since there is no central issuing authority. However, mining has become such a race to the top at this point that So what can you use bitcoins for? Since bitcoins are a currency, ideally you can use them for anything you want, but realistically, very few places accept bitcoins as a currency, and there isn’t a huge reason to use them unless you are looking for anonymity. Of course, it’s not always the person making the payment looking for anonymity. When it comes to groups like wiki-leaks that are constantly being cut off of traditional credit card donations, bitcoins offer a solution, allowing organizations to take donations without having the constant threat of credit card companies or PayPal shutting you down looming over your head. Other than the anonymity, though, what is there in bitcoins that makes them exciting for the everyday user? Being a completely new field, many people have entered into a sort of gold rush around bitcoins, with new miners popping up all over the place and creating mining “pools” where hundreds of miners work together and split the profits when they find a proper nonce. Others find excitement in investing in bitcoins, buying them off a currency exchange site on speculation, then trying to swap back at the right point to make the maximum profit. So, How do I Get in on This? That leads to what is perhaps the most important question: How do I get bitcoins without mining? Like any currency, there is a currency exchange, but there is not a single exchange rate that is recognized, and all of the currency exchange shops function on a system not unlike an auction, where your bitcoins only get bought if someone is willing to pay the amount you are asking for them. Sure, you can see the averages in front of you, but do you undercut for a guaranteed sale, or do you try and keep with the average for a slower sale but higher possible profit? Of course, just like a real gold rush, the amount of money to be made has dropped off significantly since the first pioneers began mining for bitcoins, and the most money to be made in the entire endeavor lies with those looking to make a buck off the people who want to do the mining. When bitcoins first arrived on the scene, it was relatively easy to acquire the 50 bitcoins for solving a block, but mining technology has advanced rather quickly. When mining first began, miners would use the main processor, or CPU, of their computer to mine for bitcoins, but that wouldn’t last for very long. Soon, miners were using GPUs (graphics processors), which are used under normal circumstances to play high end video games, and offered far more power to mine coins with. These days, the arms race has escalated to a point where miners are using extremely powerful processors called ASICs that are built specifically for the purpose of mining bitcoins. These highly specialized processors cost a massive amount of money, embedded in systems that often cost over $2000 a piece, and the most profit that stands to be made is on behalf of the people putting the machines together and selling them. While system building might present the highest profit margin, you can certainly make some money with bitcoins by speculating on them, but you should be warned that bitcoins are one of the most, if not the most, volatile currency on the market today. During the recent boom, investors ran to the bitcoin and hiked the price up to extremely high levels, only to have it drop dangerously low before equalizing, all within 6 hours. There’s plenty to be excited about with bitcoins, but there’s also plenty to be wary of. It’s an incredible new way of thinking when it comes to paying for goods and services, but as mining becomes increasingly disincentive thanks to extremely expensive mining machines, will the interest last? Perhaps the biggest advantage of bitcoins, its anonymity and ease of use, could lead to people moving on to a separate currency that finds a way to offer more profits. Since bitcoins aren’t commonly accepted, another “cryptocurrency” could perhaps supplant it rather easily, causing it to devalue. Even worse, it appears as if the authorities of the world are catching on, with the United States seizing funds from companies like Mt. Gox that allow customers to trade in their real-world money for currency. Part of the excitement comes from sitting outside legal boundaries, even if you aren’t doing anything illegal, but if authorities go after the exchange houses, there is no way to determine a “real world” value of the currency. Don’t be mistaken though, none of this is meant to discourage interest, but it is important to realize that while digital currencies like bitcoins are extremely exciting on so many levels, there’s no safety net to catch you if you fall, making the entire prospect extremely risky… but there are a lot of people who like risky, and if you are either one of those people, or you want to sell things to those people, it’s a great time to jump in feet first. Bitcoins are transferred from person-to-person, through the Internet, without having to go through a bank, or financial institution. Bitcoins can also be used in every country. The list of merchants which accept Bitcoins is growing everyday. Bitcoin is changing finance in many of the same ways that the Internet changed publishing. Bitcoins can be used to purchase video games, gifts, books, or just about anything else. Compared to to other alternatives, Bitcoins have a number of advantages. You can use them to pay for Online goods or services. There are even exchanges where you can sell, or buy Bitcoins. You can also trade in your Bitcoins for cash. There is no bank associated with bitcoins and anyone can make new Bitcoins if they choose. Coins are generated at a limited rate, so there will never be more than 21 million coins circulating in total. The number of bitcoins in circulation is cut in half every 4 years. By the year 2140, the number of bitcoins will round down to zero, and no more bitcoins will be released after that time. Although they will still be able to be bought, sold, and traded, no new Bitcoins will be created beyond that point. There are algorithms that are involved in Bitcoin production which can be extremely complex for most non-crypto-nerds to comprehend, this is why many people use the term Bitcoin mining. Bitcoin mining, is the process of creating new blocks in the block chain. Bitcoin miners process their transactions on secure servers. These specific servers communicate through an internet-based network and confirm each individual transaction by adding them to a ledger which is then periodically updated, and archived. The Bitcoin algorithms change drastically in difficulty dependent upon on how often they are being awarded to miners. This ensures for a smooth, steady disbursement of virtual currency into the network. If miners becomes scarce, then the Bitcoins will be easier to find. Anyone who is running the free Bitcoin miner application on their network can distribute Bitcoins. In the beginning you could only mine Bitcoins through a CPU (Central Processing Unit), however due to their popularity this increased to GPU (Graphics Processing Unit), and FGPA (Field Programmable Gate Arrays). FGPA has now become the primary platform on which Bitcoins are mined. Most recently, Bitcoin mining has now increased to the ASIC (Application Specific Integrated Circuit) era. This is a chip which is designed to specifically perform one single task. When it comes to disruptive technology, ASIC is considered to be the “end of the line”. There is nothing else on the market which could replace this form of technology. There are two basic ways you can mine. One is to go about it on your own – the other is to join a mining pool. To mine on your own, you first need to setup your Bitcoin client. Once your client is setup, the next task is to setup the actual miner. Bitcoin configuration files can be downloaded to Windows, Linux, or Mac OSX operating systems. One of the easiest ways to mine for Bitcoins is to join a mining pool. A mining pool is a group of people who combine their knowledge to earn more Bitcoins at one time. When you join a pool, it becomes easier for you to earn Bitcoins, as the algorithms are less complicated and also become easier to solve in a group. Bitcoins are awarded in blocks. This is why trying to mine them on your own is extremely difficult. The total amount of Bitcoins you can earn in a pool is dependent upon the amount of work you, as an invidual contributed, but this way to earn is still more profitable then the amount you could ever earn on your own. The work that is performed by a miner entails increasing “nonce” repeatedly until it yields a value which has to be below a certain threshold. The mining process isn’t computing anything special, it’s only trying to find a number, when combined with the payload – ends in the result of a hash with distinctive properties. While those in the past have tried using their CPUs in order to mine these Bitcoins. While this eventually slowed down the rest of the computer and eventually didn’t have enough power to complete the blocks, users eventually turned to using their graphics cards. The newest technology for those who want to make some money by BitCoin mining is using an application-specific integrated circuit. It can perform far better than previous technology could, while using using less power than the last ways people used to mine BitCoins. There are several other companies that produce this technology, and those who want to get started will need to make an initial investment in order to start making some money from mining. There are other ways to go about it as well, including using some other types of hardware. Looking into the processing power of each of these units as well as how much electricity each of these is going to use is going to be important. The best way to really make some money from mining BitCoins is to have several computers working at it all at once. For those who can’t afford all of the hardware that it takes to complete all of these blocks and make some money should link up with others who already have this equipment. These are called mining pools, and those who want to find them can link up with others on the internet looking to pool with other miners. Then, those who are making some money this will get a cut of the profits from everybody in the pool. Even on the days that people don’t make any BitCoins, they may still be able to get a cut from others who have that day. This may make the most sense, as getting the necessary equipment can end up getting expensive. Having more computers working at once is the best way to start making some money from this equipment. How Can I Join A Mining Pool? To provide better incentives for lower-performance miners, several pooled miners, which all use different approaches, have been created. By using a mining pool, a number of different miners contribute to generating a block, the reward will then be split among all of the miners who contributed to the task. This way, by mining in a pool, the amount of time it would take to mine a block is drastically reduced. There are many websites, Online, specifically dedicated to Bitcoin mining, and Bitcoin mining pools. There are also many websites which compare each individual mining pool that can help you decide which one is right for you. Different mining pools have different payouts. Some of them are PPS (Pay Per Share) where each share you submit is worth a certain amount of Bitcoins. Then there is ESMPPS (Equalized Shared Maximum Pay Per Share) which distributes payments equally among all the miners in the pool. There are also several other types of payment options you will find while researching mining pools. Only you can decide which of these forms of payments is right for you. The computations which are completed on any mining task are internal to Bitcoin and not related in any other way to computing projects. The calculations involved have very specific features to then. Each calculation has features which help to provide security to the Bitcoin network. These features aren’t compatible with leveraging the computation. Their sole purpose is to keep Bitcoin secure at all times. What Do I Do With My Bitcoins Once I Have Earned Them? Once you have earned Bitcoins, your digital currency is stored in your Bitcoin wallet. Your information will then be reviewed by a miner and although anonymous to everyone else, will be permanently stored in the network. You can use your Bitcoins to purchase products or services anywhere Bitcoin is accepted. There are many popular websites which accept Bitcoins, such as; WordPress, Reddit, Mega, and Coinabul. To find a complete list of merchants who will accept Bitcoins, you can go to the Bitcoin Wikipedia page. You can even exchange your Bitcoins for Amazon, iTunes, or Barnes & Noble gift cards. Bitcoin is accepted by trade merchants around the world. You can buy or sell your bitcoins for US Dollars, Euros, or any other type of currencies found at exchanges such as MtGox, Bitcurex, or Camp BX. You can also find exchange information on the bitcoin Wikipedia page as well. Can Anyone Break The Bitcoin Code? Bitcoin is run on a distributed network, any changes which are ever implemented to the system must be accepted by all users on the network. This means that Bitcoin can never be compromised in any way, shape, or form. If someone ever tried to change the way Bitcoins are created, then they would have to convince each and every user to download their new software – making it impossible for one individual person to change Bitcoin to their advantage. This means that the only changes ever implemented would have to benefit all Bitcoin users in some way or another. The fact that making these changes would be so difficult to accomplish proves that Bitcoin is a strong company which will be around for a very long time. So why is everyone talking about Bitcoins (BTCs) these days? Is it something that only computer geeks can understand? Actually, BTCs are not hard to understand and use if you take th time to read a non-techie article that explains them in layman’s terms. Additionally, some people who like to bet on the future highs and lows of market value for BTCs do so by trading them on a Forex, or foreign exchange, platform. This article will attempt to simplify what Bitcoins are and leave you to decide if it is something you’d like to use, and possibly profit from, by mining, trading or collecting them. One word to the wise: the BTC economy is quickly growing and a lot of money managers believe it will be the main currency in use worldwide, because the need for one universal online currency already exists. What Exactly Are Bitcoins, Anyway? BTCs are a type of money made into digital form so that it works well for use over the Internet. Using Bitcoins lets you buy, sell and trade things online, just like cash and credit are used in the “real world,” or brick-and-mortar stores. You cannot hold them in your hands or stick them in your purse or wallet, but you can keep them in a virtual bank account, known as an online wallet. Bitcoins are exchangeable over smartphones and computers, and they are useable for buying anything from fitness equipment to services like getting your clothes dry-cleaned. Amazingly, the worldwide circulation of BTCs jumped from just under one million in March of 2012, to over 11 million in one year. For those who haven’t heard of BTCs yet, the day is fast approaching when everyone will likely be using them. Indeed, some analysts believe that one decade from now we will be primarily using BTCs to buy and sell products as one global unit. Who Owns The BTCs Network? This “electronic money” system is the brainchild of a mysterious person who uses the alias of Satoshi Nakamoto. Part of the wonder of the Internet is that people who use it can remain anonymous, at least more than they can in the real world. Nakamoto wanted an instant person-to-person way to transfer cash that would revolutionize the computer commerce network, which makes sense for the state-of-the-art world of computer technology and World Wide Web that we enjoy. Actually, a group of tech-savvy characters known as cypherpunks had already created the main ideas behind Nakamoto’s new style of online currency. However, Nakamoto is the first and only person so far to fine-tune a method using cryptocurrency, which is necessary for the safety of all users. However, BTC trading software is considered an “open source” project since it’s free, community-driven and requires only an MIT license, which is a very open-minded software permit. Nakamoto is believed to have a team of like-minded experts, or programmers, who handle the fundamental procedures instead of government-based authorities. Since this value-exchanging system isn’t traceable by any governmental agencies, there are no required taxes or fees for use. However, some sellers add their own minimal user fees for extra services like faster turnaround times. As an anonymous form of money, the Bitcoin is enjoying acceptance around the world by many different merchants as well as individuals. Unfortunately, illegal use does happen in some circles, just as cash in any country’s currency finds its way into criminal activities and probably always will. How Can I Get My Own Bitcoins? 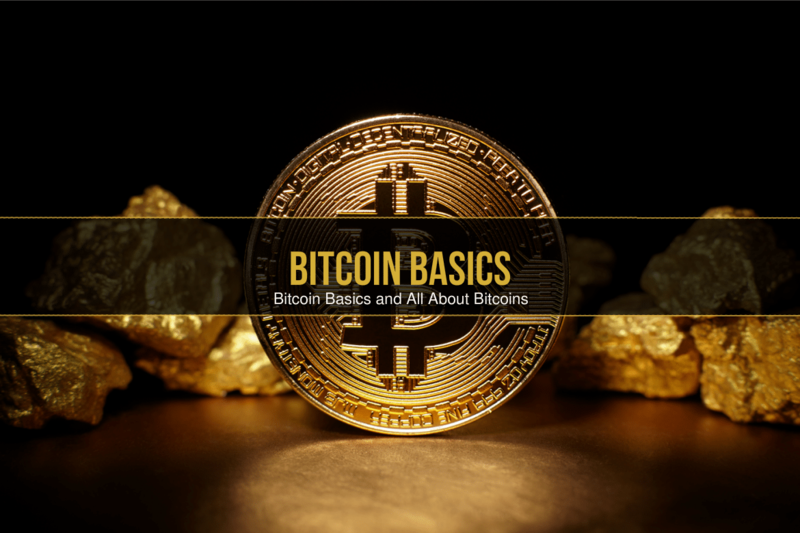 Anyone can get Bitcoins by one of two ways: either purchase some online using regular currency through a cash deposit or bank transfer, or you can learn how to “mine” BTCs for yourself. Numerous websites exist where you can transfer bank funds in order to buy some BTCs, but the buyer must be aware of the website’s trustworthiness and past performance. One reliable site to use is Amazon.com, which now has sellers who deal with small quantities of BTCs. Some merchants allow Bitcoins to be divided into eight smaller units for use on small purchases. Bitinstant is a quick source for purchasing BTCs over the Internet and accepts bank transfers. Moreover, exchanges such as MtGox conduct large numbers of sales and are highly trusted. One word of advice: the value of BTCs has risen overall, but has been prone to unstable highs and lows. Therefore, if you purchase Bitcoins through a site that waits a week or longer for your payment to clear, the value of your Bitcoin purchase may have changed – sometimes drastically. You’ll find more on rising and falling values, or volatility, near the end of this article. What does Mining BTCs mean? Mining is a bit complicated for the average person, but that is quickly changing, too. People who want to mine as a way to get free BTCs should get used to using them in the marketplace first. They should also watch the changing worldwide market rate, which can change every five minutes, to get a feeling for how the market value varies. Anyone can view the current rates at mtgox.com (look at the very top of the page in the grey strip) or BitcoinCharts.com. In addition, mtgox.com and coinbase.com sell Bitcoins to anyone with an online wallet. Mining is a sort of guessing game, where your computer runs as many strings of characters as fast as possible while hoping to guess the current “secret string.” If you and your computer are lucky and guess the right combination of characters, you will win one block, or quantity of 50, Bitcoins. However, the odds are hugely against an individual coming up with the right string, so people join forces and put the power of all their computers together, hoping to guess the correct answer. This group of miners working together is called a pool. When someone’s computer picks the winning character string the whole pool of people split the winnings, taking their share of the 50 BTCs. Programs are used by the leader of each group that assign certain percentages of any winnings to each miner depending on how much of a contribution they made. Contributions are determined by things like the number of computers that an individual has running and their speed. Furthermore, some people who already have bigger computers decide to go “solo” and just mine for the secret code by themselves. The chances of winning one block, or 50 BTCs, is still so low that it would probably take them many years, and possibly they would never succeed. This is why most individuals choose to improve their chances by joining a pool. Once a person joins a pool, they get a username and an ID number so the leader of the group can deposit the winnings to their online wallet. Some people decide to invest in a machine that increases their chances dramatically, but this machine can cost thousands of dollars. Other factors affect the odds of selecting the right code, such as how many people decide to use faster equipment. Sometimes the cost of electricity to mine by computers and accelerators can cost more than the probable “take” would cover. However, the BTC economy and new ways of mining are continually changing the scene, so it pays to look for any news on Bitcoin mining at least weekly. What Kinds Of Products Are Purchased With BTCs? Virtually anything you can buy with cash can be bought with BTCs. Alternately, BTCs can be exchanged for regular cash. Not surprisingly, Orange County in California is planning to open a Bitcoin ATM to make virtual transactions in the near future. In New York, a tavern is advertising that it accepts Bitcoin. Additionally, a car dealer in Oklahoma announced his agreement to accept payment for a new Jeep in Bitcoins. The list grows daily, as more merchants sign up to accept BTC payments. The Howard Johnson hotel chain and Domino’s Pizza are two more of the many businesses accepting this innovative way to pay for products and services. Just in the food industry alone, Bitcoins can pay for fresh Australian beef to late-night munchies from Foodler.com. Recently, the value of one BTC jumped from $40 USD to over $140 USD in just one month. Amazingly, a bubble effect took place when the value continued to rise until it popped during the next month. This could have been disastrous for owners of BTCs, but luckily, the market value rebounded in only one week back to a high level. Currently, there are over 11 million BTCs in existence, and the price per unit is holding at over one hundred dollars. That puts the Bitcoin industry at a value of over one billion dollars, and it continues to rise. Opponents of this new invisible online money system seem to distrust the fact that Bitcoin currency is decentralized and not backed by gold, silver or other reserves. However, the US dollar has not been backed by gold since 1934. Indeed, the public’s well-deserved distrust of regular banking systems and government control is propelling them to look for alternatives like Bitcoin. Some people worry about the Internet going down since this system is Internet based but if this were to happen Bitcoins would simply be frozen in time until the Internet is back up. As such, your account would still be the same from the point that the Internet goes down to the point at which it’s back up again. It is important to know that Bitcoins can be debased to a certain extent. Since they are based upon a specific formula that allows them to be created every 10 minutes, no more than 21 million of them can ever be in existence. Each Bitcoin can be broken into 100 million pieces so that they’re able to increase in value and be used to make smaller purchases. Bitcoins is a self-governing software program, which means that there’s nobody behind them. Instead, artificial intelligence is working on a predetermined schedule with codes that can’t be changed. There are exchange locations available if you want to turn your Bitcoins into cash. Of course, individuals can also exchange them amongst themselves based upon an exchange rate that both parties agree to. You can view Bitcoins as a highly speculative investment instead of simply as a digital currency. However, you must remember that there aren’t any guarantees that people are going to use them. This is especially true considering how new they still are. There are some advantages to keeping Bitcoins in an exchange instead of in a private wallet. First of all, you should know that when Bitcoins are kept within an exchange they are liquid meaning that they can quickly be traded for dollars. On the other hand, whenever Bitcoins are held within a wallet you won’t have any reporting requirements but you also won’t be able to get to your Bitcoins as quickly. 1. There’s no real security or accountability with Bitcoins because they’re not backed by any government. Since nobody actually knows who made this currency, it’s possible that it would be relatively easy for someone to steal. However, since they’re stored within a digital wallet that’s encrypted by your computer you should have some sense of security unless your computer gets stolen. 2. They are valuable whenever they’re highly volatile but this value could quickly be diminished. This is different from fiat currencies (i.e. the U.S. dollar, the Euro) that are backed by a country’s hard assets. 3. This currency has only been around for a few years, which simply isn’t long enough for them to prove themselves reliable. As such, there are only a few exchanges available because some people believe that they’re nothing more than a “fad” whose value could be lost tomorrow and never recover. Anyone who’s still interested in purchasing Bitcoins will want to know how a transaction works. Essentially Bitcoins are stored within a wallet that serves as a repository of Bitcoin addresses each with its own balance sheet. Whenever someone uses Bitcoins to make a purchase this encrypted balance sheet is updated via the sender’s private key. If the requested transaction is made on behalf of the merchant’s side the Bitcoin address will be transported across the network. The merchant will then be able to use a public key to open the encrypted file. However, it should be noted that anyone who’s on the network will be able to look inside the encrypted packet. They just won’t’ be able to use it unless verification is sent by the Bitcoin server. Each transaction is verified by a merchant. It is his responsibility to forward the Bitcoin address to the Bitcoin server. For this reason, merchants have been nicknamed “Bitcoin miners.” They are responsible for collecting the Bitcoin addresses that are collected within the 10 minute session. Miners are also responsible for calculating the cryptographic hash function. This is all done via a Nounce value that’s obtained via the hash function. Once all of this is done and the transaction is verified, they payment will be transferred to the merchant’s account. With Bitcoins it may seem as though you’re entering into a whole new world. After all, a lot of people simply aren’t familiar with using digital currency. Even with its drawbacks and the strong fluctuations that it sometimes goes through (as much as a 65% decrease in value has sometimes been seen) Bitcoins are still very popular and there really are a lot of people who are actually using them today. While this may all sound quite foreign to you, it’s important to note that the main reason why Bitcoins are so popular is that they are well supported. Their supporters seemingly believe that as smartphone technology continues to grow and improve there will be an increasing number of people who will need to have digital currency available for them to use. Of course, it also doesn’t hurt that digital currency is much more convenient to use whenever you’re buying and selling items. Furthermore, there really are a lot less transaction fees incurred with digital currency than with conventional currency. Ultimately, only you can decide whether or not you want to use digital currency and whether or not Bitcoins are the right one for you to use. BitCoin Wallet – What Is It and How Do You Get One? People can purchase almost anything. There is even a specialized auction house called BitMit for purchasing strictly using this software. As long as it is an accepted method of payment, it can be used, and with BitCoin becoming an increasingly popular choice in payment methods, it will likely only become more usable. This system is being used by more than 100,000 people already. Where Can People Download BitCoin Wallet? People can download BitCoin Wallet by going to their main website, and clicking on the download. They also have the option to download BitCoin in either Windows or Linux. They can also down BitCoin Miner from their main website. If they have any trouble finding it, then they can simply Google, BitCoin Download, and that will make the download much easier to find. The great thing about BitCoin is that it is a cheap way to move money. For people who want to transfer money to someone without having high fees, this is a great option because it requires no banks who take a cut of the money. One of the big reasons that people would want to join a pool is because it makes it far easier to get BitCoins. People can always try to mine for BitCoins by themselves, but the problem with mining alone is that it is difficult to earn as many BitCoins, whereas, when mining with a pool, the number of BitCoins is split up evenly amongst all the people mining them. This will typically earn more money. Also, important to keep in mind, there are multiple pools with different rules and regulations. For example, some pools will take a cut of the profit. This is why it is important to visit the forums to check up on the rules of that particular pool. For example, there are some pools where people can be banned if their efficiency drops below 30 percent. Typically, people should have a rejection rate of no more than five to 10 percent. If the rejection rate is any higher than that, then people likely have an issue with their computer. Another common issue with mining is an error that says, Error: Warning: Work Queue Empty. There are two things that this can mean. One thing that this can mean is that the work queue is empty and that the miner is empty. A second thing that this can mean is that the server has not given any work, or the miner has finished the work. However, if this still does not get the application to run properly, then type -q 3 in the command and this will sometimes work. However, if after three minutes the error is still the same, then the final thing that people can do is to shut down the program and completely restart the program. BitCoin Wallet works essentially just like a real economy without a government issuing the money. There is one major difference with BitCoin though and that is that instead of continually printing off money, BitCoin has a fixed amount of coins as currency. It is believed that there is around 10 million coins in use today, and the most there is ever planned on being is around 21 million. Some people have wondered, Well, what if a few people decide to hoard all the BitCoins? This would actually be a good thing because it would make the value of the rest go up. The way it works is people are given a math equation that they are supposed to solve. Once they have solved the problem, then they will be given BitCoins as a reward, which is as good as money. As a whole, for each equation solved, people will receive around 50 BitCoins, but it will also depend on the complexity of the problem. What is counter intuitive is that as the complexity of the problem increases, the reward for the equation actually goes down. The reason for this is because adding to an already complex system is not considered valuable. The great thing about BitCoin is that it works just like money, and people can cash out at any time or purchase items using the system. People can even get Amazon gift cards and other major store gift cards. The one problem that people have run into with BitCoin is that their software is not good enough for BitCoin. This is largely because many people have a CPU instead of a GPU, which is best for mining BitCoins. The GPU was discovered to mine BitCoins at the speed of around 799 times faster than the CPU. Since then, the GPU has been the main thing used for mining BitCoins. The reason for this is because of the difference in the way that each system had been designed. A GPU was designed so that it could be highly effective at video processing, which is an essential for being able to do effective BitCoin mining. CPU’s have traditionally been used for more executive usage, while the GPU has been used primarily for repetitive tasks. The GPU also has more ALU’s which has the result of greater skill at mathematics than the CPU’s. One thing that people can do to increase their BitCoin chances is to get specialized hardware for BitCoin mining. One thing that people want is a good graphics card. This helps to get BitCoins Faster. One of the things that is important to do is to set up your BitCoin Wallet regularly. People want to back it up so that no one can use it, since that would essentially be like letting a total stranger use their bank account. BitCoin Wallet is a currency system that was created in 2009 by Satoshi Nakamoto. It is believed to actually be a pseudonym for a person or group of people who designed the software. The real creator of this software has never been revealed. Step 1 Find A Good Location – A good location is somewhere where a person’s rig will not be interrupted by pets or by children. Step 2 Assess The Budget – Before taking on an idea, it is important to know how much a person plans to spend. Step 3 Decide On Hardware – Step 2 will lead people directly to step 3, which is deciding on the best hardware they can afford. It helps to have a little knowledge of building computers when it comes to this. Step 4 Implement A Plan – Figuring out a plan is essential to having success. For example, does a person plan on automating their rig? Step 5 Setup A Proxy – A proxy will keep workers managed, and it will also keep login information the same. Step 6 Take Action And Start Generating – The final step is to take action and start generating BitCoins. If everything has been running smoothly for a while, then a person might want to overclock their PC, which will help them mine more BitCoins. When people first get started with BitCoin, the main goal should be to have fun with it. Earning even a small profit can make a person feel great, but if they continue, then they will be on the fast track to earning a nice income with BitCoin. People who are not interested in mining are not necessarily barred from using the software. It is perfectly okay to purchase BitCoins and use them simply for purchases. As mentioned, it is a cheap way to transfer money around.